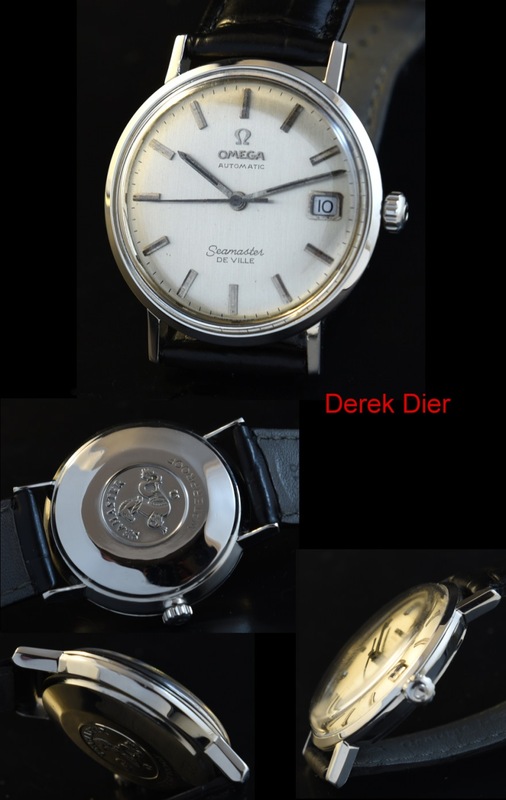 This is a 1960’s 34mm. 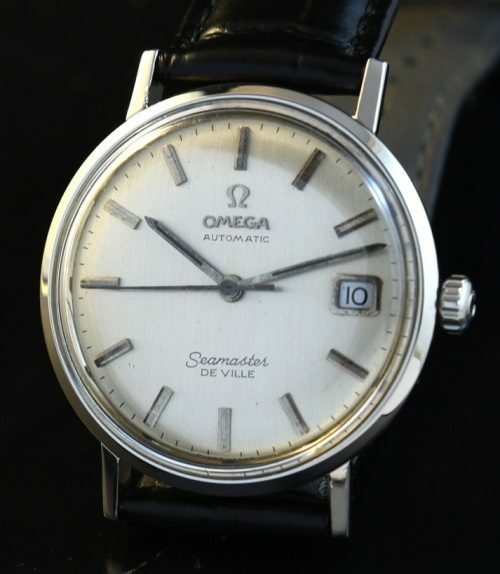 stainless steel OMEGA De Ville having an original dial. The steel case having the relief Seamonster logo looks excellent. The correct OMEGA notched winding crown is installed. This fine automatic winding OMEGA movement was just cleaned and is accurately keeping time. These non-date versions are sleek and subtle every-day-wearing vintage watches. $995.